Convert your ordinary TV into a Smart TVs with the new decoder smart set-top boxes of Videocon D2H, Tata Sky and Jio. 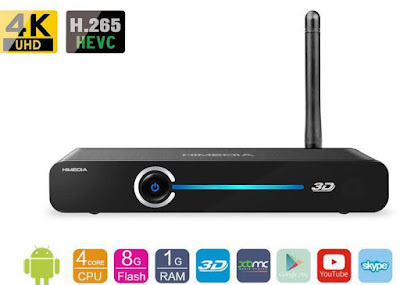 Smart Dth satellite TV decoders ( smart set-top boxes) preloaded with popular applications like YouTube and Netflix is ready to turn our ordinary TV sets into powerful smart TVs. Operators of cable and direct to home TV service providers, such as Videocon D2H, TataSky and Airtel is going to launch new decoders (SMART STB) in the month of May, a step that eliminated the thunder of smart TVs or streaming services such as Google Chrome or Apple TV. These smart set-top boxes are roughly valued at Rs 3500. The new DTH TV decoders are also called as the connected boxes, having the possibility to connect to the Internet via WiFi or connected via a dongle to the USB hub. The STB will have the applications for social media, music and content. And games too. "The new connector box eliminate the need for users to buy a new smart TV or streaming device like Chrome Google and Apple TV." The STB will provide both the linear programming and the ability to video and audio on-demand Stream. The STB users can upgrade their old STB by returning their old ones and paying an extra Rs 1000 for the brand new smart set-top box. Videocon D2H said that the box contains news and social applications like NDTV, Facebook and Twitter, and will also support Netflix, Voot, HotStar and Amazon PrimeVideo. Netflix and Videocon D2H signed an agreement to allow their customers to access the connected box and movies and songs in the first weekend of March. Airtel also takes a look at a piece of the new cake. "We are working on a new hybrid STB that allows users to watch TV and broadcast content," said a source of Airtel. The new STB of Airtel is expected to reduce the market share of smart TV manufacturers and transmission equipment, according to industry experts. The launch of Videocon smart STB is likely to invite the likes of DEM and Siti Cable Network to get their products quickly. "Reliance Jio is going to launch its STB based on Android, which will come with Jio applications," said Neil Shah, Partner Counterpoint Research. The increase in domestic bandwidth and free data and remote-on-applications based controls will result in a new penetration of digital STB." Of the approximately 10 million flat-panel televisions shipped in India, nearly five million units of smart TVs, data show counterpoint. The size of the smart TV market in India is about of 24,000 crores. However, Faisal Kawoosa, an analyst at Cybermedia Research was sceptical of what the STB all-in-one. Users do not like the manufacturer with a certain set of applications, and we've seen tied with smartphones. The success of the new STB can be limited as they are more likely to be based on preinstalled applications than to access a smart application store on a smart TV. " Tata Sky, which was the first DTH to try to digitise STB works on a concept called Web apps. "The Tata Sky + customer applications can be used during television," said Harit Nagpal, MD and CEO of the company. "Tata Sky provides an additional interface for customer information, popular app and games through their TV access," from the usual portable devices. "Tata Sky already has Sky + transmission STBS where applications are free. The company said that its scanned STB should be separated, not bought and all updates to the transfer case will be provided by the company free of charge. Smart TV manufacturers are not affected by the new product. "Customers who need to buy a smart TV area with integrated smart TV manufacturers. People tend to use these devices (STB) to their non-existent smart TVs," said Neeraj Bahl, responsible entertainment electronics Panasonic India.